A small weekly market held in covered stalls outside the Rondebosch library. 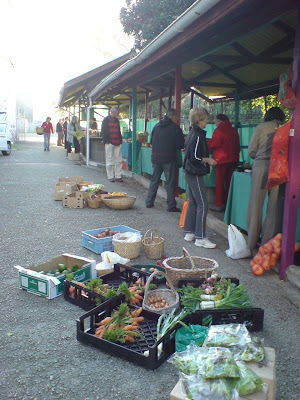 A good variety of organic and even biodynamic fresh produce as well as jams, pickles, cheeses and other dairy products. There are also a few stalls for hand-made goods. On every Saturday from 7.30 to midday (organic produce sells out very fast).